Prime Day is now upon us and in a few short hours, Amazon will begin rolling out hourly deals on nearly a million products in what is predicted to be the biggest online shopping day in history. Like last year, we will be sharing the best deals as they happen so you don’t miss out. 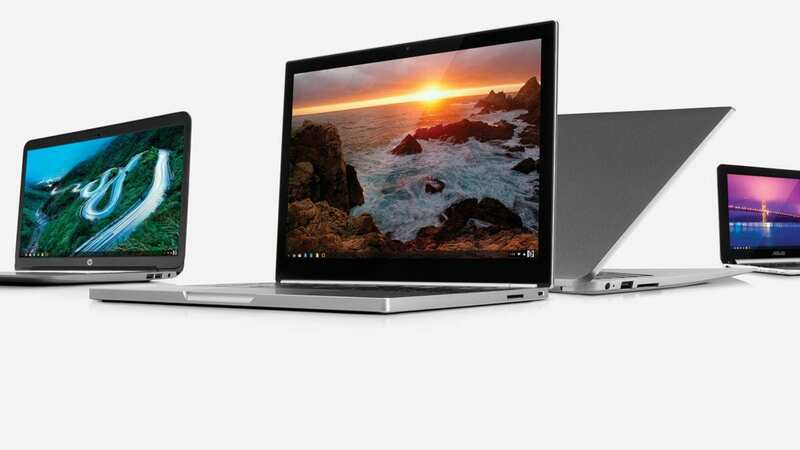 We have a few hours before Prime Day officially kicks off so I wanted to share a couple of buying tips to help you make informed purchases if you’re planning on snagging a new Chromebook today. If you aren’t a Prime member and are interested in taking advantage of the 36-hour sale, you can snag a 30-day trial membership for free and get your share of the Prime-exclusive deals. Some of these tips may seem obvious to you who are experienced online shoppers but we know that many (based on frequent comments and emails) often ask for informed assistance when making a major purchase on the internet. So, we’re here to help. Amazon has is comprised of countless sellers and storefronts. If you are purchasing a device that is sold by and/or fulfilled by Amazon, you can generally rest assured that you are protected from fraudulent or misleading listings. In most cases, you have 30 days to return items from Amazon for exchange or refund. Easy Peasy. If you’re buying from a “third-party” seller, or someone with their own Amazon storefront who sells and ships items themselves, take a few minutes to research who you’re doing business with. There are a few things to look for when checking out an Amazon seller. Ratings and reviews can be very telling when looking at a seller. A store with little to no reviews isn’t necessarily a reason not to buy but try to look for established sellers. It was reported that Amazon was averaging nearly 3,000 new sellers a day in 2016. With well over 5 million individuals or companies selling on Amazon, there’s always a chance someone is trying to make a quick buck by scamming buyers. Also, be wary of a seller with a perfect 100% score in their feedback, especially if they have a lot of reviews. It’s common practice for some online sellers to pay for reviews or fabricate ratings to boost their traffic. Take a moment to actually read a few, random submissions from buyers. If every review of a seller looks very similar or verbiage seems odd, chances are they’re getting fabricated feedback. Even the best storefronts on Amazon will occasionally have a dissatisfied customer. Good sellers who have hundreds or even thousands of reviews will generally have a rating in the upper 90’s in my experience. If your sellers aren’t an FBA(fulfilled by Amazon) store, meaning they are handling the packing and shipping themselves, make sure you check out their return policy. While most reputable sellers will have liberal exchange/refund guidelines, it’s worth making sure you know your options in case you have an issue with your device. This is especially true when buying a used, open-box or refurbished product. Likely more important than knowing the seller is knowing a little about the product you’re purchasing. When it comes to Chromebooks (actually, tech in general), this is a massive Amazon pet peeve of mine. The following image is commonplace on Amazon as well as eBay and other sites. Those who really know Chromebooks know that this is an Acer Chromebook 14 for Work that was originally released in May of 2016. That doesn’t mean this particular listing isn’t “new.” It is. It’s listed as new and it should come in an unopened manufacturer’s box. Shoot, it may have even been assembled in 2018 and have a sticker on the bottom reflecting that fact. My problem with these listings (as well as listings on OEM sites) is that they are click-baity. They give the impression that this is a “new to market” device. Granted, it’s only implied and while misleading, it isn’t flat out false advertising. I just don’t like it and here’s why. Google has an End of Life policy for Chrome OS that guarantees updated for devices for at least 6.5 years. After that, there’s no promise that your Chromebook will stay up-to-date which means you could miss out on crucial security updates and patches. OEMs and resellers alike neglect to inform buyers that the manufacturing date of a Chromebook has NOTHING to do with the actual End of Life of the device. For example, the Acer Chromebook in the above listing is being sold as the “2018 Newest Acer” but the End of Life is actually based on the original release date. That means your “brand new” Chromebook actually gets put out to pasture somewhere around November of 2022. That’s just a tad over four years. Now, when buying a budget or “disposable” device under a couple hundred bucks that’s not a big deal. However, if you’re investing upwards of $800 on say an HP Chromebook 13 G1, it’s good to know when the device is going to go stale. With that being said, disregard any enticing descriptions and take two minutes to cross-check the model number with Google’s Auto Update policy page. You can do so at the link below. If you are having trouble finding a specific device, shoot me an email and I’ll do my best to give you a hand. Also, be cautious of listings with massive discounts. We often see Chromebooks that are discounted hundreds of dollars but the savings is based on a grossly inflated MSRP. If you’re unsure of what a device should cost, search around our site. Most of our reviews and announcements will list the manufacturer’s retail price at launch. Don’t get duped by thinking you’re getting the deal of the century. This pretty much sums up the “best practices” of buying a Chromebook on Amazon. One last bit of advice. If it comes down to a few pennies or a couple of dollars, I always go with “Fulfilled by Amazon” listings. This pretty much guarantees you will be protected by Amazon’s default return policies. Stay tuned later today so you don’t miss out on the best deals from Amazon Prime Day. The fun begins at 3 P.M. ET and we’ll do our best to stay on top of the best of what’s available. Make sure to check us out on Twitter where we will keep the feed moving with Amazon’s Lightning deals.